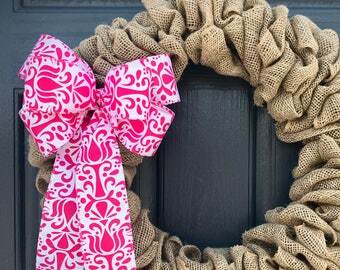 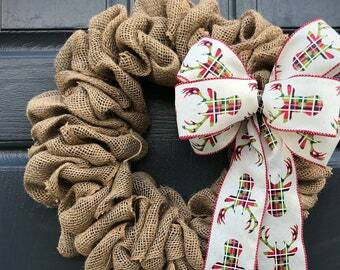 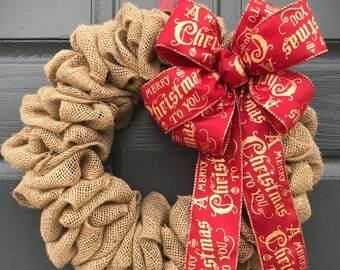 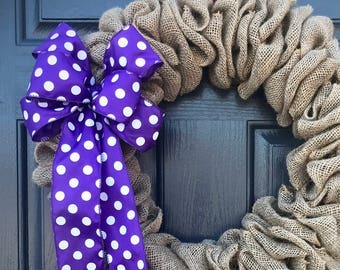 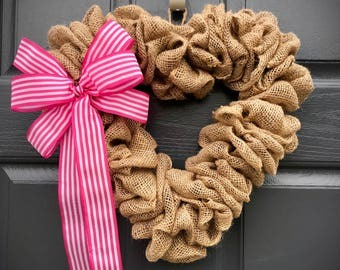 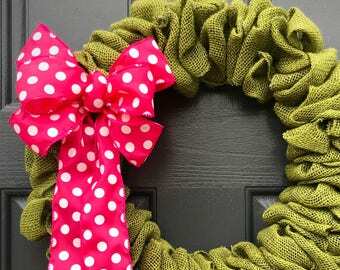 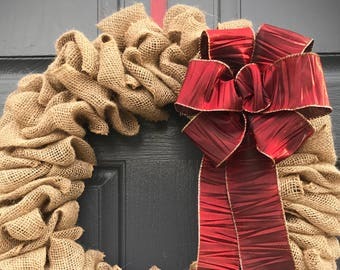 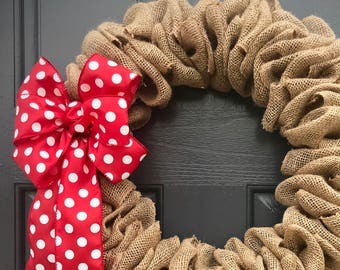 Burlap wreaths are always a fun and easy addition to your decorating. 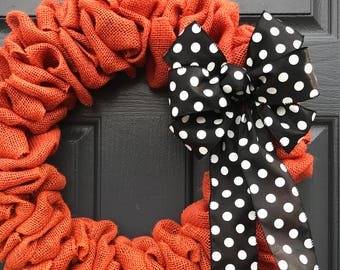 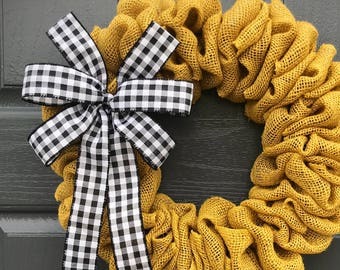 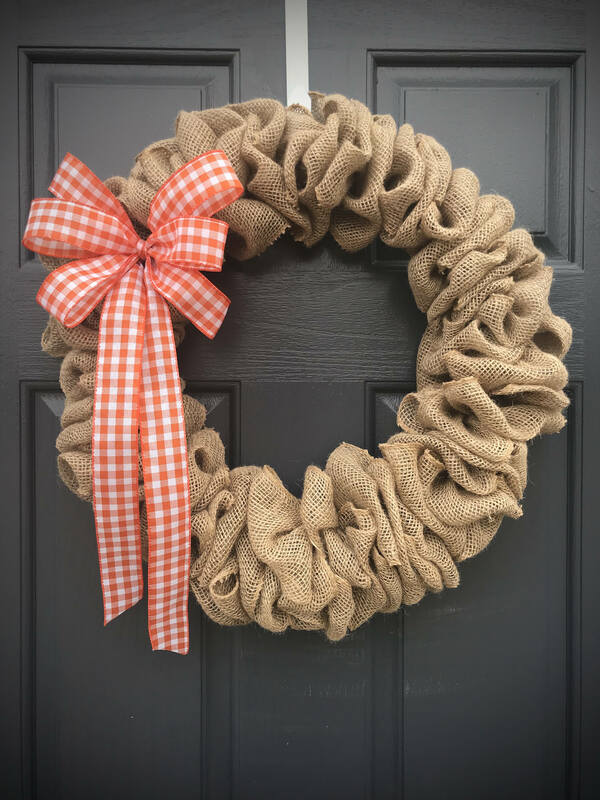 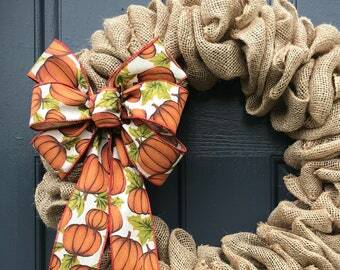 This 18/19 inch natural burlap wreath has a fun removable orange and white gingham bow. 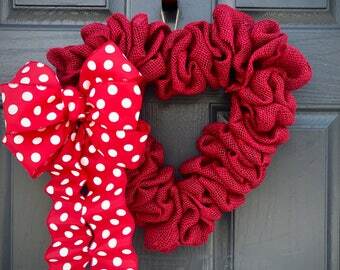 Place the bow wherever you like, it is attached with a pipe cleaner. 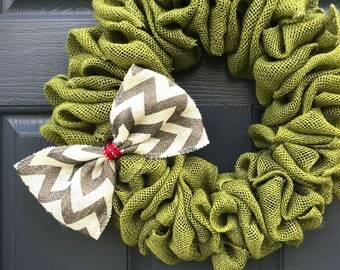 Consider adding a different bow for another holiday/occasion. 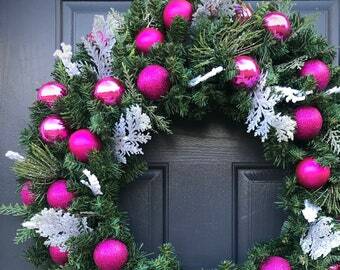 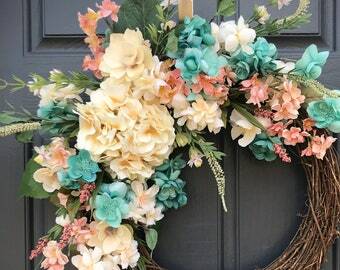 It's a great way to make use of one wreath for various times of year.